The late Godfrey E. Santini, one of the founding brothers and President of The 7 Santini Brothers for 37 years, attributed the success of the Santini organization to "a genuine desire to do a good job, and sincere interest in the customer's problem in a spirit of helpfulness... while we are in business for gain, we always consider profit as secondary importance to a job well done. A satisfied customer will pay dividends in the long run." Pasquale Santini, the eldest of the seven sons of a farmer living in the Tuscan Hills of Italy, became restless and wished to join the tide of immigration to America, the land of opportunity. So in 1896 he came to America where he got a job with a cousin who was in the moving business. He saved his money and sent for his brother Pietro. With the two of them working, they were able to send for three more of their brothers. In April 1905, the five brothers decided to start a moving business of their own in the Bronx, New York. By 1907 they amassed sufficient money to send for their two younger brothers. 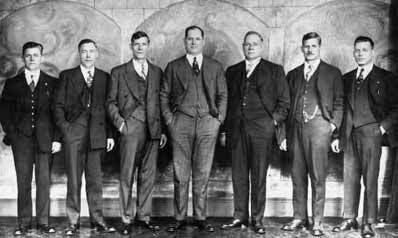 Now there were seven Santini brothers working together. Their inherent honesty, promptness, courtesy, and care in handling of all materials soon earned them a fine reputation which by word of mouth, spread throughout the entire area. 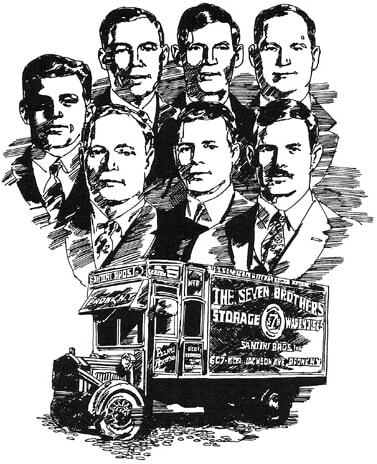 Ultimately the Seven Santini Brothers grew into one of the world's largest moving, packing and shipping organizations with offices and warehousing facilities from coast to coast and in six foreign countries. In 1974 Santini opened Industrial packing facilities in Houston and Galveston to service their Oil and Energy Industry clients. In 1988 the Santini family sold the company to another moving and storage company. As the economic conditions changed, the new owners decided to dismantle and sell the various operations of the company. By 1993 the company was completely dissolved. 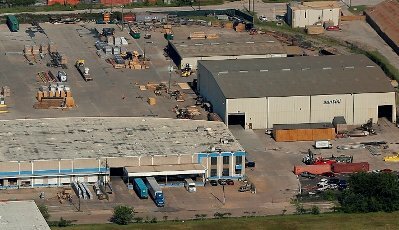 Before dissolving in February 1991, the assets of the Houston Industrial Packing Division were sold to 2 Houston businessmen with experience in the packing and logistics industry. The resulting company was named Santini Export Packing Corporation and is now the only original 7 Santini Brothers operation still doing business under the Santini name. By 2006 the 2 partners determined that they had diverging interests and Dan Greenberg purchased the shares of his partner. Dan and his three sons now operate the company and have expanded to Louisiana, Florida and Shanghai, China. Some things never change. We are still a family-owned business and share the same values with the Santini Family, continuing the 110 yearlong tradition.